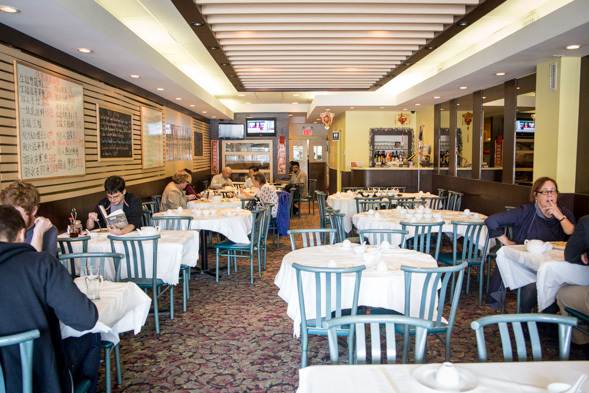 Taste of China has been around since 1997, yet it doesn't seem to be on the radar of most diners when it comes to downtown Chinatown restaurant options on Spadina, unless you fall into a certain demographic. For the most part, that demographic would be night owls: late-night partiers and/or those who work in the restaurant industry. One of the reasons why these regulars keep coming back is the head server, a charismatic lady named Ling who's been working here for over a dozen years. She's the spokesperson for the resto and its dishes, as owner/chef Ping Cham Yeung - who, like Ling, is originally from Guangdong province in China - likes to stay in the kitchen. (He appears to be a bit media shy). Don't even bother reading the outdated and overwhelming English menu. Ling is the best resource for ordering - especially if you can't read the Chinese characters on the wall. She'll ask if you have any allergies and then she'll guide you to the good stuff. "Chinese food, French service," she quips. We entrust her with our tastebuds. 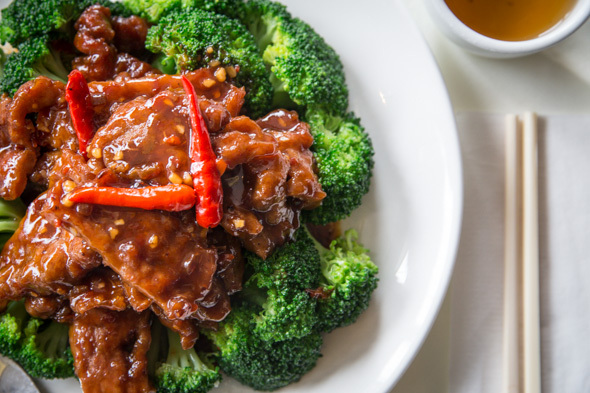 Pieces of filet mignon with garlic and pepper sauce arrive on a bed of broccoli ($13.95); it has the spicy and sweet flavours of a General Tao's without the cornstarch and deep frying, and with better meat. While Taste of China is known for its seafood, Ling tells me chef Susur Lee likes to eat the chicken with bitter melon here (it's an acquired taste that's definitely not for everybody). Next, a dozen Hong Kong-style tiger shrimp ($18) that have been lightly battered, deep fried and then sauteed, mixed in with garlic shoots (very interesting), spicy minced meat and tiny fried anchovies. This one's a late-night fave, and it's not on the regular menu. 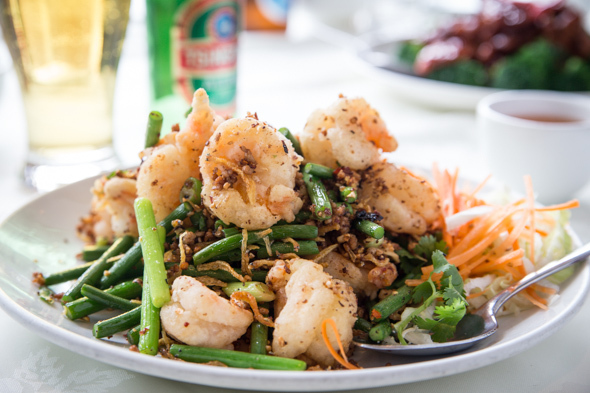 A bottle of Tiger or Tsingtao ($5.50) is the perfect accompaniment - if they're still serving alcohol when you're there. Fresh-from-the-tank sea bass fillets come on their carcass ($25/lb), which is now edible since it's been battered and deep fried. 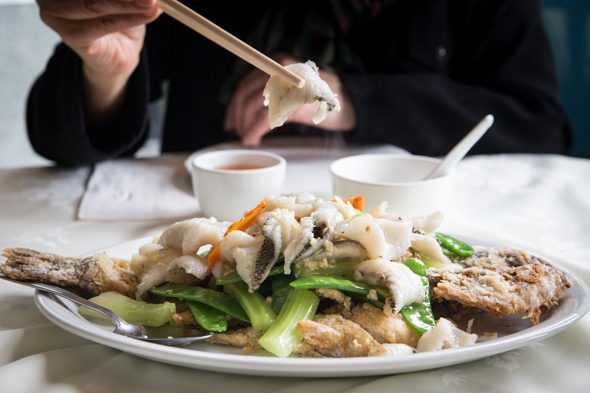 It's also possible to arrange to have pricier fish prepared, such as turbot, like one long-time client who told Ling, "Money is nothing, good food is everything." Ling is the late-night gatekeeper/enforcer-of peace at the restaurant. You can usually find her there from 5pm 'til the place closes, and she manages to balance making patrons feel welcome while also keeping a check on their rowdiness at 2am. The regulars respect her authority (she's actually kind of a Taste of China celebrity; she shows me countless pics customers have asked to take with her) and her knowledge of what to eat. She's greatly missed whenever she goes back to visit China in the fall, but not to worry - she always returns. 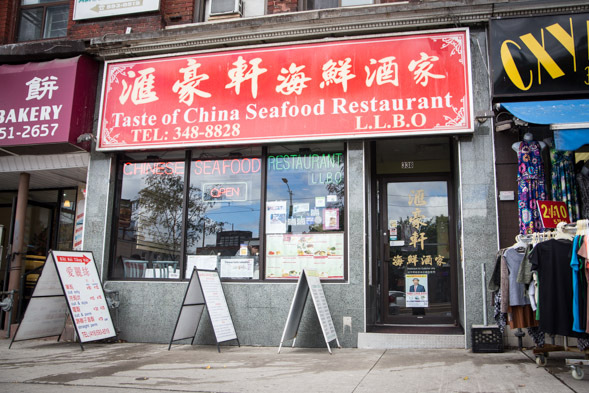 Taste of China opens at 11:30am every day and closes at 5am on weekends and at 4am from Sunday to Thursday.